We all are familiar with the struggle of boosting our site’s exposure in search engines, via social media and through email, so it comes as no surprise that countless individuals are constantly exploring new ways in which to reach larger and more relevant audiences. One way that people are reaching out to new audiences is through the use of paid marketing, but not everyone feels as if they have the budget to do such a thing. Thankfully, there are plenty of low-cost approaches that can be used to target relevant audiences and pay either by impression or by click. If you want to convert average visitors into customers and reach larger audiences in the process, then continue reading to find out how. Before you can determine what works and what doesn’t, you will first need to compose a series of marketing ideas that can be tested. Social media is the best place to perform these tests, as advertising through these networks is generally cheaper than pinging search engines with ads. This will give you the opportunity to head creative headlines, descriptions and images to see what attracts the most attention. After you have monitored these campaigns for a bit, you will be able to tell which ones are doing the best. From there, you can implement a more extensive ad campaign that helps you get the best return on investment. Particularly via social media, you have the ability to use paid ad campaigns to leverage your social clout. Facebook and other social media networks allow you to choose the type of interaction you desire from your ad campaigns, with likes, shares and comments helping you build an increased social media presence. These social signals can be a great way to improve search engine rankings in isolated circumstances. If you are pinging search engines with advertisements, however, then you can use the increased amount of traffic and interactions to ultimately boost SEO rankings as more and more visitors come to your site over time (direct clicks on ads do not boost SEO performance, however). The final step of this process is to turn those visitors into customers. There are several ways that you can try this approach, from directly advertising products on search engines and social media, to having people arrive on landing pages that will collect their information in exchange for some benefit. Calls to action can be a great way to motivate visitors to engage further with your brand, and may require an additional round of ad campaign testing to achieve the desired effect. 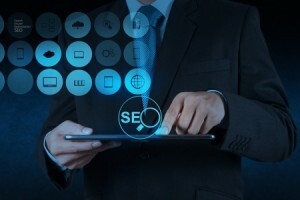 Always keep in mind that even if you do not boost overall SEO effectiveness, brand recognition within a targeted niche will certainly be augmented (this increases the likelihood that a future customer will return to your site). By targeting your audience with a selection of previously-tested ad campaigns, leveraging that interaction throughout social media to generate social signals and converting visitors into subscribers and customers, you can help improve your bottom line while also boosting SEO credentials. Is Paid Advertising Losing Steam? Should You Outsource Your SEO Offshore?